Thank you for considering leading a walk for the Berkshire Walkers. We depend entirely on volunteers to lead our walks, and without walk leaders our group wouldn’t exist. If you’re thinking of leading a walk for the first time, please take a look at the Walk Leading FAQ page, contact the Walks Co-ordinator or feel free to speak to any of our current leaders to find out more about what’s involved. We can give you as much (or as little) help as you feel you need to plan, pre-walk and lead your first walk. Once you have an idea for a walk, have a look at our current calendar and choose a free date for your walk. You can then submit the details to the Walks Co-ordinator by email or through the online form below. The form is designed to remind you about the details that should be included, but if this is a general enquiry or you are still finalising the details, you can leave some of the fields blank or enter “TBC”. The Walks Co-ordinator will confirm receipt of your walk, agree a date and ask for any missing or unclear details to be clarified. You will receive a draft of the walks programme to check prior to publication, along with information for walk leaders. Please contact the Walks Co-ordinator about any errors as soon as possible, and before the publication date. At this point, you are making a commitment to lead your walk on the agreed date. 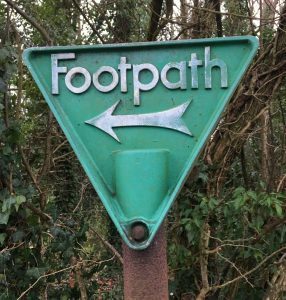 Your walk details, including the contact name and number you provided on the form, will be added to our website and to the Ramblers’ Walk Finder. Please complete this section fully - it really helps the walks coordinator. You can find out accurate location details in a variety of ways. A good one-stop shop is Grid Reference Finder. Zoom in on the map as much as possible until you can see the start point. Right click the start point, and all the information you need for this section will be available.